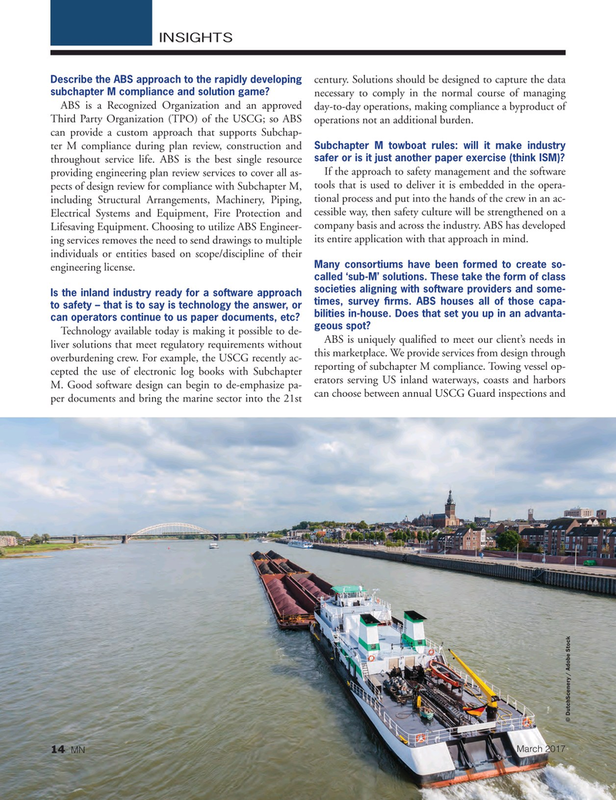 Describe the ABS approach to the rapidly developing subchapter M compliance and solution game? Third Party Organization (TPO) of the USCG; so ABS operations not an additional burden. Many consortiums have been formed to create so- engineering license.